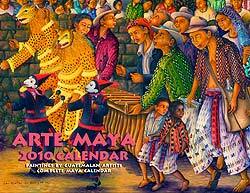 For the past month I have been busy making changes on an almost daily basis to the Arte Maya website. Most of these changes have been to the Photographs section, a section of the website that I have neglected for a long time. Of all the changes I have made to the website in the past several years, I am most pleased about these additions. The purpose of the current newsletter is to encourage you to visit this section. 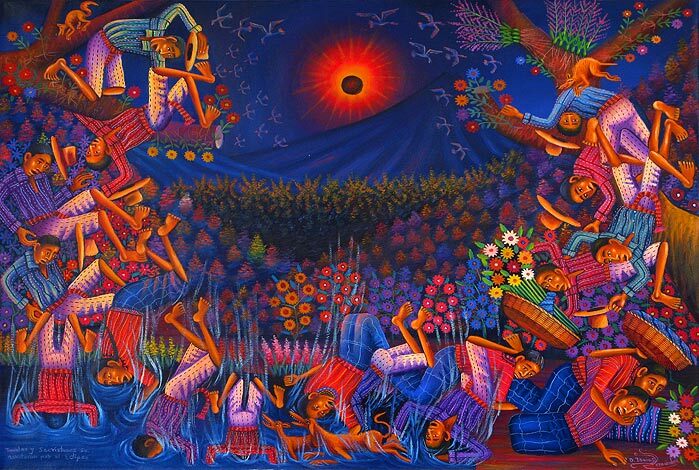 The rains did not come to Guatemala this year, and as a result many of the crops have failed. The prices of produce have doubled or tripled. This is especially hard on the subsistence farmers. Many people are facing severe hunger in parts of Guatemala. The government has declared a state of emergency which will allow them to get international help. So far I have only been able to get out a newsletter two or three times a year. If you wish to be removed from the mailing list of this newsletter, please email me, and put Remove as the subject line. When I looked at the Photographs section of the Artemaya website recently, I realized that I had not posted any new photographs that I had taken since one of my first trips to San Pedro. This started me looking through the nearly 5000 photographs I have taken in Guatemala since 2002. 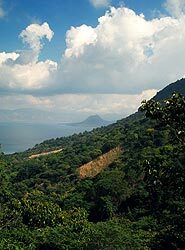 I selected around 100 of the best and posted them in three galleries: Maya of Guatemala, Structures, and Lake Atitlan. 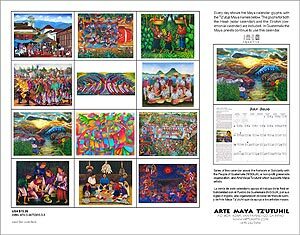 Frank Mays, who runs Nimpo't in Antigua Guatemala, gave me permission to post some of his photographs of the Maya and their festivals on the website. The twenty-one photos were selected from over 600 that he took of these festivals. 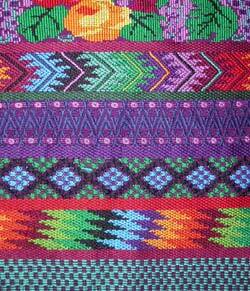 Nimpo't is the largest store of Maya traje and weavings in Guatemala. After I posted those photos, because I was already excited about photographs of Guatemala, I started going through the photographs people had posted on the photo-sharing website Flickr. I went through other people’s photographs of Guatemala and made Flickr galleries, each containing no more than 18 photographs on different themes about Guatemala—Maya people, Maya spirituality, Lake Atitlan, the Maya Highlands, colonial architecture, towns, festivals and celebrations, foods, and the traditional Maya town of Todos Santos. From over 20,000 photographs of Guatemala, I selected my 500 favorites, and then I culled them down to about 150 of best for these galleries. If you want to know when a new painting by your favorite artist is posted, we now can inform you right away through Twitter. Just add Artemaya to your Twitter account. In the past, changes and additions to the website have been mentioned in the newsletter, and posted in the “What’s New” page of the website. Twitter will let you know immediately when these postings take place. 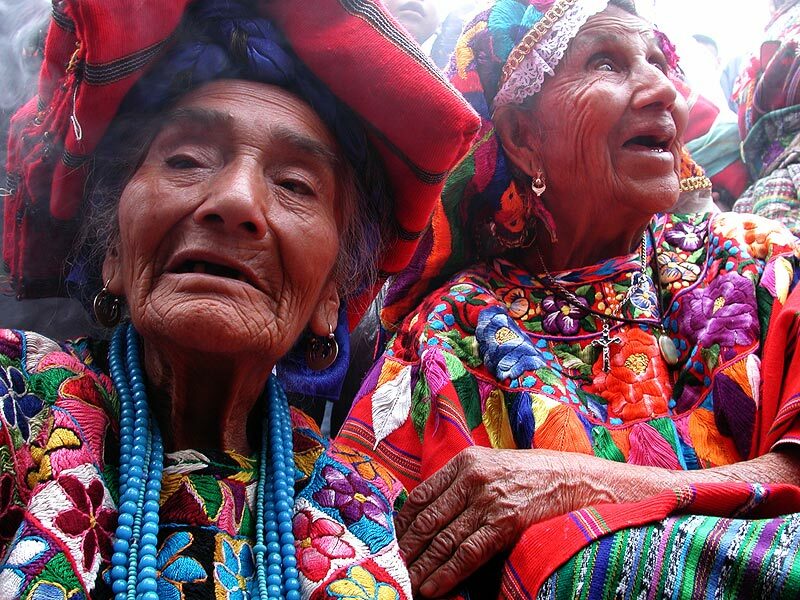 Kathleen Vitale of Endangered Threads Documentaries in her third video: Manuela & Esperanza: The Art of Maya Weaving tells the story of two accomplished Maya weavers, Manuela Canil Ren of Chichicastenango and Esperanza Pérez of San Antonio Aguas Calientes (pictured left). 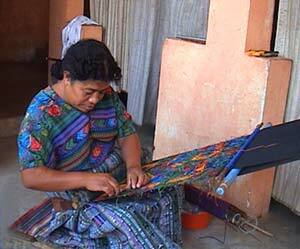 The video follows them as they weave traditional blouses (huipiles) in less than three months. The weavings done in San Antonio Aguascalientes use among the most difficult weaving techniques, the double sided brochade. In addition to seeing how these two different weavers set up their looms, do the weaving, and finish the huipiles, we are able to share the generous spirit of these two very different Maya weavers.